Please also view our Competition Winners page. A double-page feature on Moraira, and featuring villa Benicarlo. A double-page feature on Javea, and featuring villa Katerina. A special feature on family holidays on the Costa Blanca, in their in-flight magazine, and featuring villa Nevette. A double-page feature on Moraira, and featuring villa Lavanda. A feature on Calpe, and featuring villa Malva. A double-page feature on the Costa Blanca, and featuring villa Ochenta. 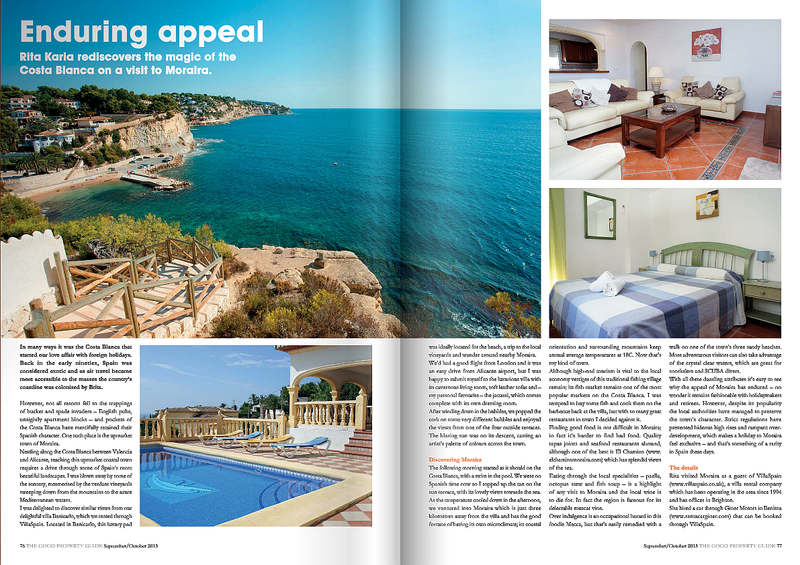 A special full-page feature on villa La Galesa in Javea, in their in-flight magazine. A double-page feature on the Costa Blanca, and featuring villa Finca Badowa. A double-page feature on Moraira, and featuring villa Mirador al Sur. A front page article on 'Brits paying more for villa holidays. A three-page feature on winning a week's villa rental at villa Guapa, to include air fares for two persons, and car rental. A five-page article on the Costa Blanca in this specialist magazine (not the free supplement you get with the Sunday Times) whereby they list VillaSpain as a provider under their 'Travel Brief' section. 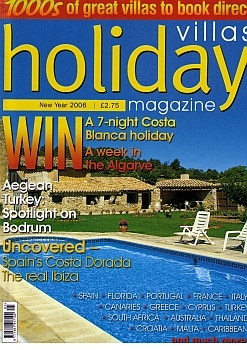 Double -page spread article on holidaying on the Costa Blanca, two villas featured of VillaSpain. Charity auction, all proceeds to the mayor's charities. Our offer of a week's stay at the apartment in Andorra. Photo Competition: Win a complete holiday for one week - Imperial Park Country Club, 2 flight tickets & car hire. Winning picture left. Competition offered in collaboration with Imperial Park Country Club and The Recycling Factory (charity sponsors on recycled print cartridges) which offered a holiday for two persons at Imperial Park Country Club, Calpe. Win a complete holiday for one week - villa Kay, 2 flight tickets & car hire. Win a complete holiday for one week - Imperial Park Country Club, 2 flight tickets & car hire. Free Spa offer when booking a villa holiday. Competition offered in collaboration with Holiday Villas magazine which offered a holiday for two persons in a luxury villa. Competition offered in collaboration with Latest Homes magazine which offered a holiday for two persons in a luxury villa.